Dr. Tom Bennett and his team of professors are redefining the role of research education at Franklin Pierce University. In 2014, Dr. Bennett began developing service-learning opportunities for FPU students. In 2018, the program expanded to include a for-credit Inquiry Scholars offering. The initial goal for the Inquiry Scholars program was to develop a program for students to assess their own skills. Over the years the program has grown into an inquiry, research project with a focus on service and mentorship. Inquiry Scholars provides students the opportunity to explore interests beyond classroom curriculum. Jaffrey-Rindge educators, Marcea Gustafson and Carla Press, have been key facilitators for the extended learning opportunity in Rindge Memorial School, Jaffrey-Rindge Middle School and Conant High School. Jaffrey Grade School teacher, Andy Chapman has facilitated the after-school Inquiry Scholars program for the past 5 years. Mr. Chapman likes the program because it encourages students to develop and explore questions without an “obvious yes or no answer.” FPU mentors support the inquiry and research process. Bailey Fernandes, Inquiry Scholar mentor and participant, is currently a junior at FPU. Bailey is majoring in Health Sciences and hopes to one day become a physical therapist. Bailey began Inquiry Scholar as a Sophomore. At that time the program focused on independent service learning. Bailey researched dietary habits, dental hygiene and nutrition of FPU peers. Bailey participated in the first for-credit Inquiry Scholar offering. He mentored an elementary school student who had become withdrawn. During Bailey’s 6-week mentorship he observed that the student developed more confidence and began interacting with peers. Bailey stated, "He needed extra encouragement and confidence.” Bailey believes, “More students should go and spend time in schools. Peer influences on younger students, even if it’s just a couple of hours a day, is beneficial.” Bailey hopes to continue his mentorship next year. 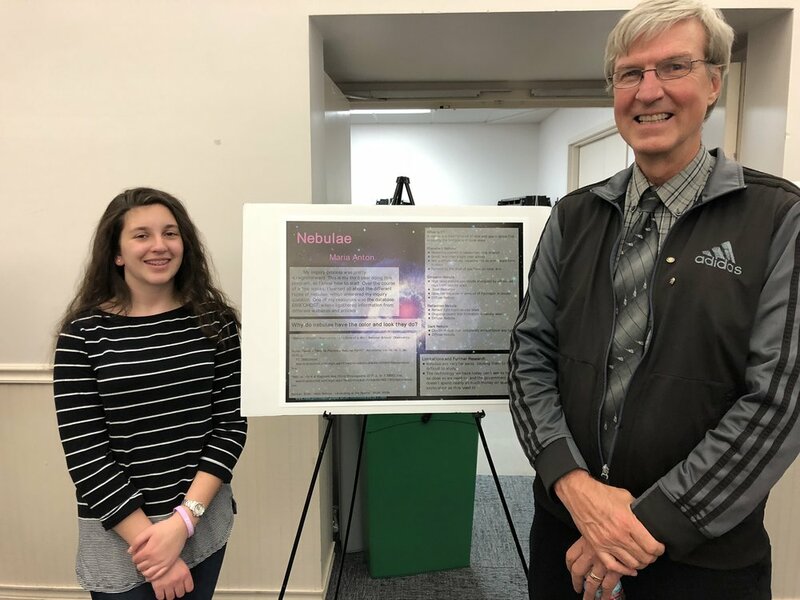 April 30th, students from FPU and Jaffrey-Rindge schools gathered to celebrate the completion of their inquiry projects. Students demonstrated enthusiasm and depth-of-knowledge as they presented projects to a full room. The Inquiry Scholars Spring session is complete but plans for the future are being developed. Dr. Bennett hopes to expand the program to offer more for-credit and mentorship opportunities.